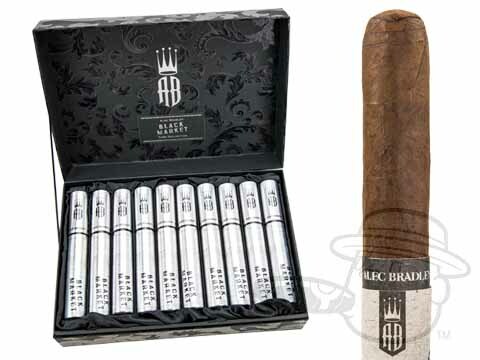 Alec Bradley’s newest line, the Alec Bradley Black Market, might sound like a shady, under-the-radar release that may or may not have fallen off of some truck somewhere. This, though, couldn’t be further from the truth. Alec Bradley Black Market is made at the highly-regarded Tabacos de Oriente factory in Danli, Honduras with some of the best tobaccos available—a dark, oily wrapper from Nicaragua’s Jalapa region, a sweet, spicy Sumatra binder, and meticulously-aged filler leaves from Honduras and Panama. Simply put, these might be the least sketchy cigars we’ve seen in a while. This special tubos edition features 10 cigars in an exclusive 6 1/2x52 vitola, packaged in elegant individual tubes.